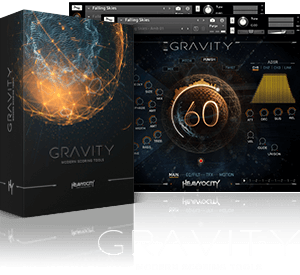 Heavyocity GRID II is a sound & music sequencer software. Most sequenced instruments are either based on triggering individual sounds (drum machines), or triggering different notes from one sound source (like a sequenced synthesizer). But GRID II takes a hybrid approach: its two main modes enable it to be used as both a sequenced instrument and a played synth, though it is neither directly designed for percussion, nor melody. The sound and music sequencer software was designed for discovery, for experimentation, and for creativity. 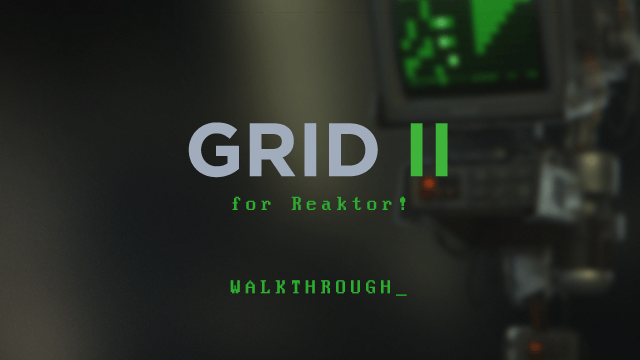 This was the fundamental concept behind GRID II - that it can be whatever you make of it. Heavyocity GRID II uses 8 voices to produce its sound, but direct control over these voices was purposefully kept to a minimum. Instead, you control the relationship between the voices to sculpt the output; ranging from synthetic percussion to morphing synths, from glitched noise to pulsing drones. Because of this, controlling GRID II can sometimes feel like an abstract experience, though it is not random.The minimalist controls of this sound and music sequencer software require that you collaborate with the instrument, rather than use it as a tool to get a job done, opening up new sonic landscapes with each patch, each pattern, each preset. The sound sources of GRID II are best suited for minimal and electronic music, but this sound and music sequencer software also has a nasty, glitchy side for those who love noise. Fill the grid to start your sequence, feed the signal back on itself to transform the sound into something completely different. Complex patterns. Rhythmic synth beds. Abstract Percussion. The heart of GRID II is experimentation, so it will find a place in any genre... if you touch it the right way. If you're looking for more from Icebreaker, take a look at the Bitrate II & Monoboy Icebreaker audio software.